What did the A-Team and Scooby Doo have in common? They both had iconic vans as the uncredited stars of the shows. Now Kijiji has outdone both of them with a new ride for their promo crew. Kijiji is no stranger to weird vehicles. They cruised Canada in the Kijiji K-Car (a nice reliant automobile) for years. I don't know much about this new van, but it was spoken about this evening on Twitter in terms reserved for moon landings and secret spy missions. 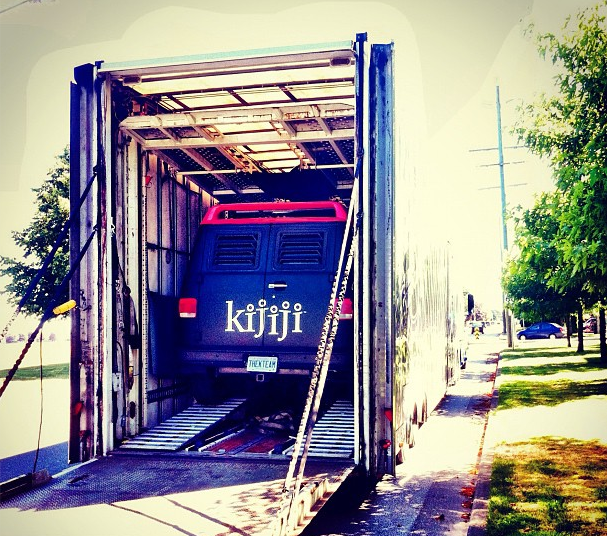 Here's what's either a first look at the Kijiji Van or a hipsterized view of something many have seen before. Either way, look at this freakin' van! 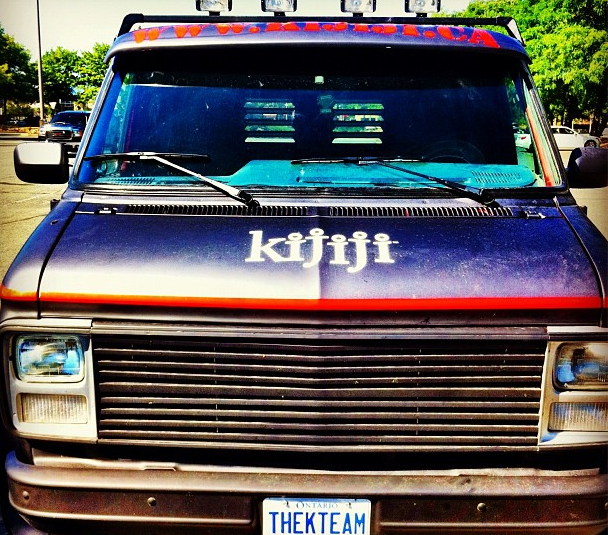 For more pictures of THEKTEAM's Van of Destiny, see Kijiji's Vancouver community rep Annie Feng, @annieyfeng on Twitter, and look for her Instagram pics.